Buyers who believe that functional luxury and state-of-the-art safety systems outweigh the inherent status appeal of a traditional prestige nameplate can expect to find their transportation and aspirational needs well met by any member of the S80 lineup. It's very safe and it is well engineered. It's sporty and comfortable. It has quick acceleration. It has some luxury features, like air conditioned and heated seats, which are nice. It has a high safety rating, which is important to me. The function and feel of the car is indicative of really good engineering. Only negatives are the tires tend to puncture easily if you hit lot holes, and some of the sensors are starting to go. Trunk space is more than enough. It's reliable. I really like the car. The volvo has a great safety record and many safety features. It is comfortable, safe, stylish and performs well. It has BLISS technology. It handles very well. Every seat is comfortable. Letg room is good. Acceleration into a highway is awesome. Volvo’s are extremely safe cars. The physical appearance also holds up. I love the reliability and the safety of Volvo's. I have owned two and will never drive anything else. What I do not like is the cost of repairs sometimes. 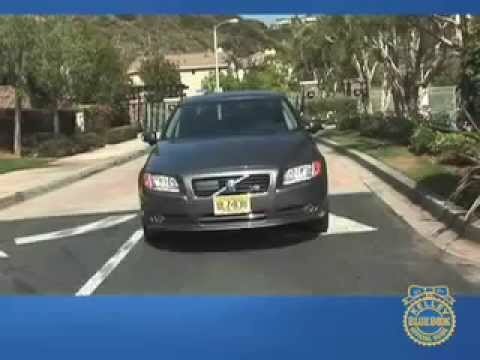 2008 Volvo S80. Start Up, Engine, and In Depth Tour. VOLVO IS RECALLING 102 MY 2008 XC90 AND S80 VEHICLES EQUIPPED WITH V8 ENGINES. THESE VEHICLES MAY HAVE BEEN BUILT WITH INCORRECT BOLTS TO THE ENGINE MOUNT. THE ALUMINUM BRACKET FOR THE ENGINE MOUNT COULD BREAK DUE TO LACK OF ADEQUATE CLAMPING FORCE. THIS COULD CAUSE THE ENGINE TO COME IN CONTACT WITH THE SUB-FRAME, ULTIMATELY RESULTING IN A REDUCED ENGINE TORQUE OR STALLING OF THE ENGINE WITHOUT PRIOR WARNING, INCREASING THE RISK OF A CRASH. DEALERS WILL INSPECT THE ENGINE MOUNT BOLTS FOR SPECIFIC MARKINGS. IF ANY OF THE BOLTS CONTAIN THE INCORRECT MARKINGS, THE BRACKET AND BOLTS WILL BE REPLACED. ALL OWNERS HAVE BEEN CONTACTED AND ARRANGEMENTS HAVE BEEN MADE TO REPAIR THESE VEHICLES. VOLVO IS RECALLING CERTAIN MODEL YEAR 2007-2010 S80 VEHICLES FOR FAILING TO COMPLY WITH THE REQUIREMENTS OF FEDERAL MOTOR VEHICLE SAFETY STANDARD NO. 110, "TIRE SELECTION AND RIMS." THE TIRE AND LOADING INFORMATION LABEL AND A PAGE IN THE OWNER'S MANUAL CONTAIN INCORRECT MAXIMUM PERMISSIBLE INFLATION PRESSURE AND THE TIRE PRESSURE MONITORING SYSTEM (TPMS) SOFTWARE HAS AN INCORRECT TRIGGER LEVEL. THESE VEHICLES DOES NOT MEET THE REQUIRED SAFETY STANDARDS. DEALERS WILL UPDATE THE VEHICLES WITH A NEW TIRE AND LOADING INFORMATION LABEL, OWNER'S MANUAL LABEL AND TPMS SOFTWARE. THIS SERVICE WILL BE PERFORMED FREE OF CHARGE. THE MANUFACTURER HAS NOT YET PROVIDED AN OWNER NOTIFICATION SCHEDULE. OWNERS MAY CONTACT VOLVO AT 1-800-458-1552 OR CUSTOMERCARE@VOLVOFORLIFE.COM .